Looking for more? Expand your exploration and visit Darling Quarter. Close to Cockle Bay Wharf and in the Darling Harbour precinct, Darling Park is full of wonderful surprises. Home to the biggest free playground in the city and a lush park, it’s the perfect place to take your little ones for some fun in the sun. 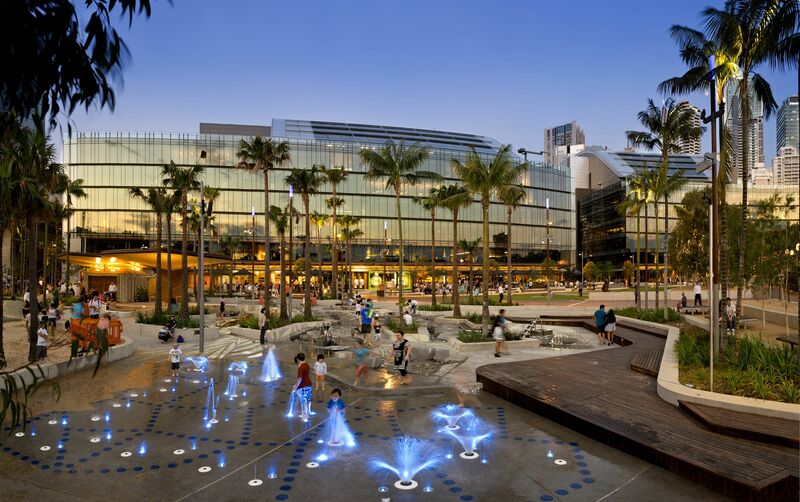 Explore beyond the Darling Quarter playground and you’ll discover a Brazilian Churrascaria, charming cafés and delightful takeaway restaurants showcasing food from around the globe. A hub for visitors and locals, Darling Quarter hosts free events in the beautiful communal garden. Some of these events include kids yoga, art installations and the annual Night Owls Kids Film Festival. Check the Darling Quarter website to stay up-to-date with events.